If you run your own small business, every minute of the day is precious. 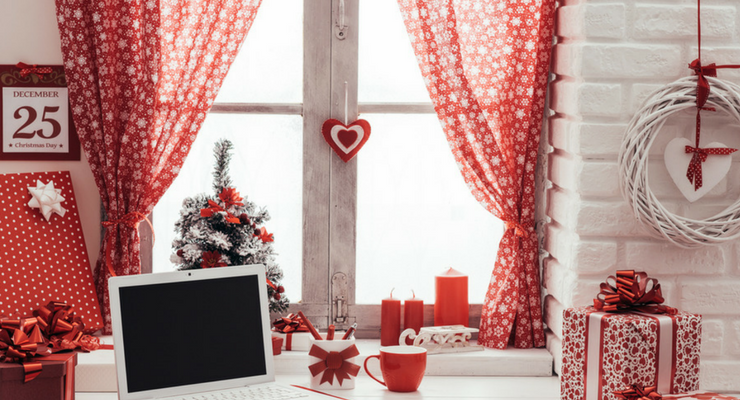 You might not consider it important to decorate your home office during the holidays, but studies have shown a festive atmosphere leads to happier employees in a traditional office environment. Decorating doesn’t have to cost a lot or use up a whole afternoon. 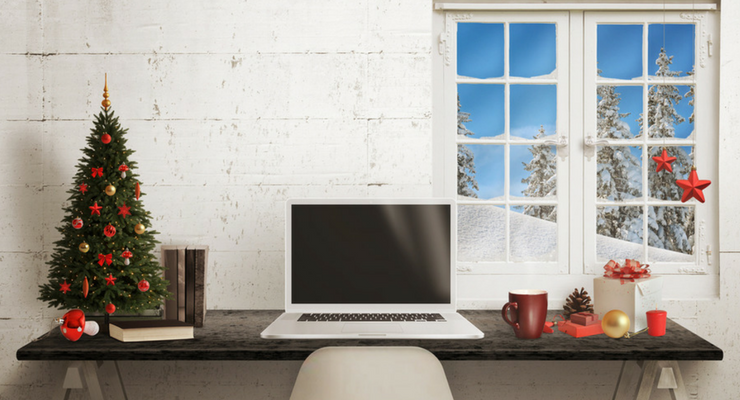 Here are four simple ideas you can use to bring a little cheer to your office space this holiday season. Holiday cards are an important part of any small business and a great way to reach out to customers and business partners. When you send out holiday cards every year, you’ll probably receive many in return, strengthening your relationship with clients and partners. Cards make excellent, inexpensive decor. To display them, create a tree out of lights on a wall in your office. 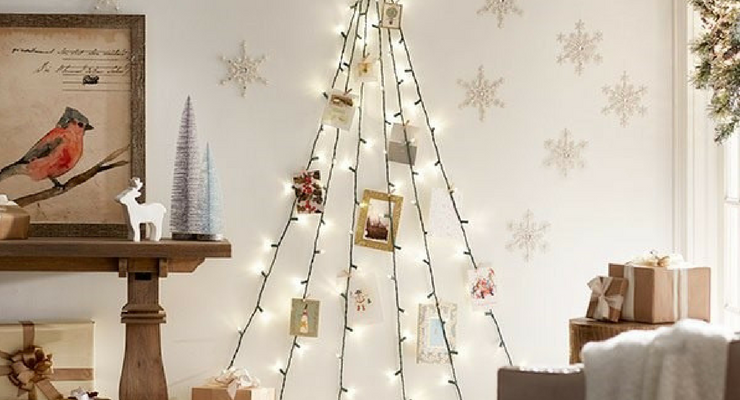 Simply string the lights vertically on a blank wall, making the shape of a tree, and attach your cards as they arrive. Choose soft white lights for a delicate glow, or for a colorful look, use a mix of red and green. Potted plants are always a cheerful addition to any home office space, so invest in a festive option for the winter season. For your desk, select either a miniature pre-lit artificial tree or, if you prefer live plants, a potted fern or small evergreen decorated with tinsel. Poinsettias are another seasonal plant that adds a much-needed splash of color to your office. A wreath says “Bring on the holidays!” to your clients and neighbors. Hang one on your office door or window to instantly brighten up your space. 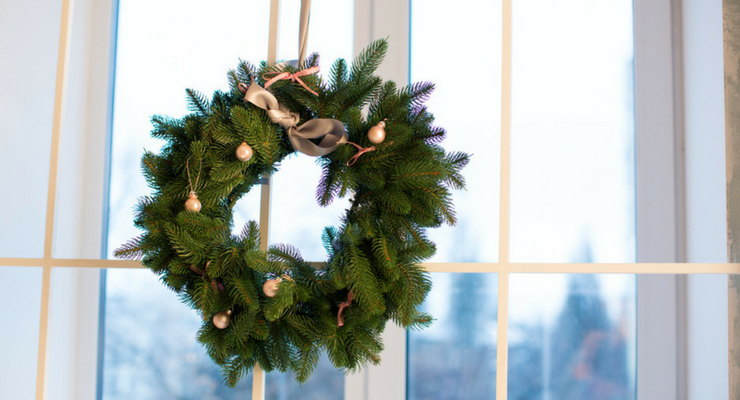 Choose a sturdy, well-made artificial wreath — ideally one strung with lights — that you can use year after year. Decorate it with bows and ball ornaments to match the rest of your office decor and create a cohesive look. For those of us who are still a kid at heart, nothing says Christmas like a row of stockings hanging by the fireplace. Re-create the magic in your office by hanging stockings on a wall, bulletin board, or cabinet near your desk. You can even hang them from your window with suction cup hooks. Choose colors and styles that match the rest of your holiday decor. Once you have your space set up, consider going a step further and throwing a company holiday party. Even if you work alone, there’s no reason you can’t invite a few valued clients and colleagues over for a celebratory get-together. Jennifer Tuohyis a writer for The Home Depot who works out of her home office. She provides tips and hacks for making the most of working at home, including adding Christmas decorations to increase your morale. Visit The Home Depot to see a selection of the Christmas decorations she talks about in this article.